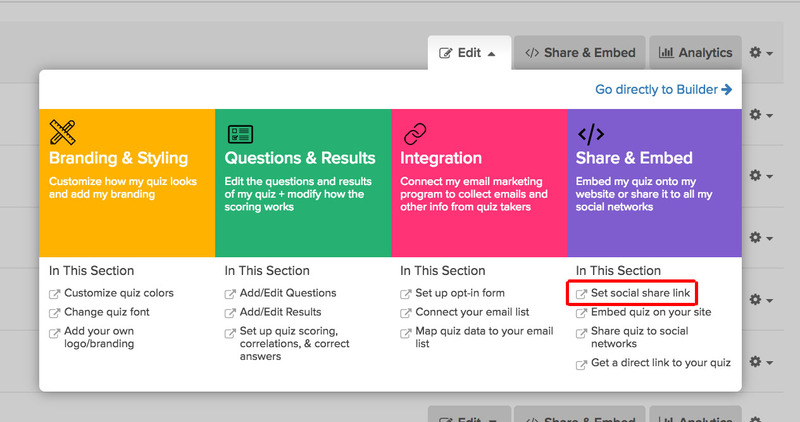 You can change the link that gets shared when someone shares your quiz. For example, if you want to embed the quiz on your site and you want people to share the link of the page the quiz is embedded on, you can do that using this method. 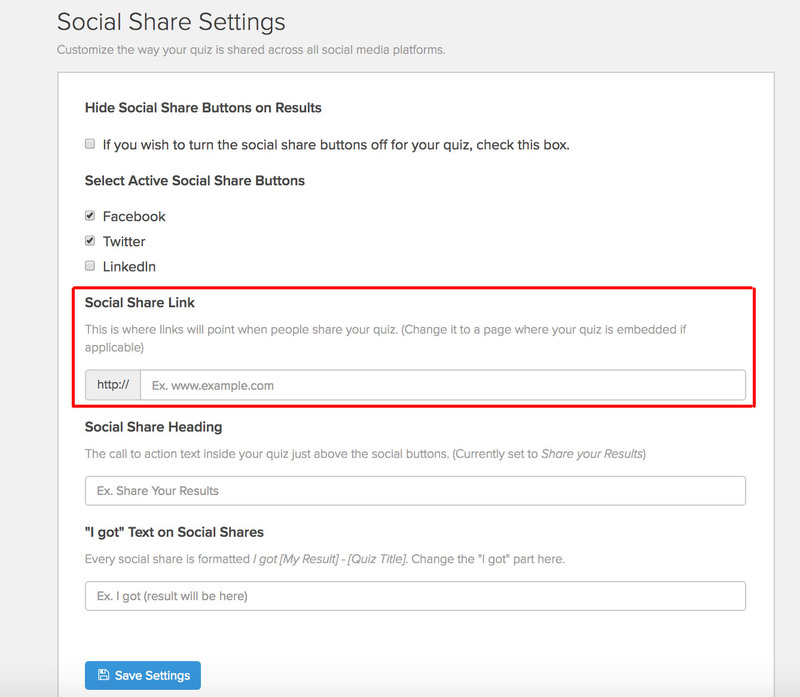 Then paste in the link of the place where the quiz is embedded, or if you want to switch the social share link back to just sharing the quiz dedicated landing page, you can paste that in from the quiz embed module.